Earlier this year, a beloved, recently departed doctor friend said to me, "you know Aimee, sometimes life makes our decisions for us. "...At the time, I wasn't quite sure that I understood what he was saying, but his words have stuck with me and I've pondered them intensely, coming to a deeper understanding as the time has passed. I've worked in public relations and advertising for many years and I still love what I do, but along the way this other passion showed up in my life, through no choice of my own, leaving me with Celiac Disease and a deep desire to help others and create something good. "Good" in the sense of doing so for others, teaching those newly diagnosed how to manage living gluten-free with abundance and joy and, yes, creating something delicious to share with the world. 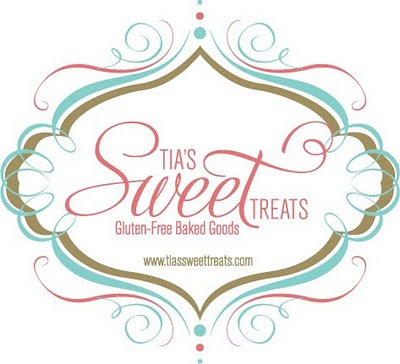 Today, my mother and I are really excited and happy to announce the launch of our Gluten-Free Baked Goods business, Tia's Sweet Treats!!! We are currently baking delicious, Gluten-Free, organic Macaroons in a variety of five flavors, all free of nuts, as well. We use only the finest, organic ingredients that are bought locally and baked in a 100% Gluten-Free baking facility. Since the first moment I tasted a Parisian macaroon in Paris, I've been hooked - though the macaroons we are baking do not look like the ones you find in the City of Lights, the essence of their tradition and taste are captured. The authenticity of our recipe and flavors are derived from a combination of my grandmother's recipe and many hours of research and taste-testing by my mother and me - Fun job, no?! You might ask where the "Tia" comes from in our company name? Well, it's derived from the love and sweetness that is shared between my nephew and me and our love for gluten-free foods. You see, given our Basque/Spanish heritage, I wanted my nephew, Alex to call me "Tia," which means Aunt in Spanish. "Aunt" just wasn't going to cut it! Alex is also the first person in our family to be educated and exposed to gluten-free foods since he was born and as he's grown, really enjoys eating my food and loves to try everything I eat. We have always shared this sweet bond of eating gluten-free muffins and Lara Bars together - and his awareness of what I can and cannot eat is astounding to me - he's so intuitive about gluten and understanding what is safe for his "Tia" to eat. The other reason for the name...truthfully, is the sound of his little voice that's conjured up in my head every time I hear the word, "Tia" spoken...it's priceless to me and I wanted to honor Alex and our special bond in this way. 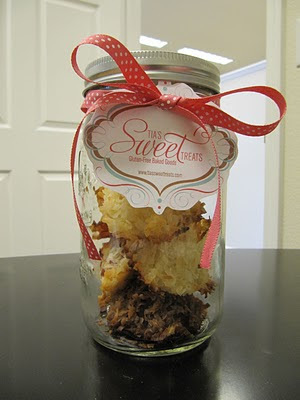 We are accepting pre-orders now and will have our full line of Macaroons available for pick-up after January 15, 2010. Please visit our website for a list of pricing and the necessary contact information or email us at: info@tiassweettreats.com. We look forward to baking for you, your friends, colleagues, family, and other loved ones and we guarantee a safe and delicious 100% Gluten-Free experience that will leave your taste buds and tummy wanting for more. 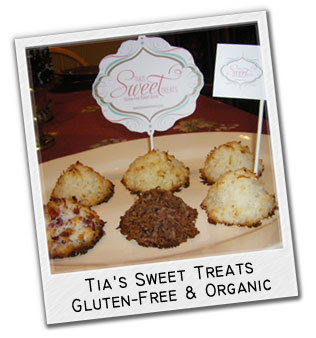 Tia's Sweet Treat's wishes you a very Merry Christmas and Happy New Year! I guess winter has arrived a bit early. P.S. - Hot tip: I had a client event today and had ordered a Gluten-free veggie baked potato from BJ's Restaurant and Brewery in Reno. They offer a GF menu, so we ordered off of that and my dear client was so sweet to triple-check my order when she picked it up...however, when I opened the potato and found a side of what I believed to be melted butter (per my request) I was shocked to realize that it was not! After taking two or three tastes, I realized that it was more of a fettuccine sauce (with most likely some flour! ), not butter. So once again, don't ever 100% trust ordering off of a gluten-free menu. It obviously always pays to stand next to the chef in the kitchen and watch his or her every move! Well, since that's not really possible just realize that there's always a risk involved. My two hour "will I get sick" time frame is almost up, and I'm praying that I will not get sick from this mishap. My client asked ALL the right questions - it's strictly the insane lack of knowledge that most all kitchens possess when it comes to truly knowing how to serve a gluten-free customer! I could go on...but I digress. Just wanted to pass this information along! I hope that Thanksgiving left your tummies full, but certainly not sick from any sneaky gluten that may have found its way onto you plate. I was very thankful for a lovely, quiet meal with my family that was much simpler this year, safe and delicious. I have to say that my mother has really mastered how to prepare a holiday meal sans gluten in the nine + years since my diagnosis. The Saturday after Thanksgiving I found myself at the gym running on the treadmill and burning off some of those delicious calories previously consumed on Thursday. While running and sweating, I noticed that the Food Network had a show that was running called "Ask Aida". If you haven't seen it before, it features a young, enthusiastic gal named Aida who cooks up pretty quick and simple recipes, while answering viewer questions. I have to say, she's darn good at chopping. I was a little jealous while watching how fast her technique is. She was whipping up a bunch of pasta dishes that looked rather tasty and cheesy - yum. The third dish she prepared caught my eye, given the fact that I was still in the mood to eat turkey, having not really overindulged too much this year on the good old bird, and this particular pasta dish requires ground turkey meat. The name that flashed on the screen was the Italian dish, Pasticcio, though Aida's version is definitely not the original four-hour-intense dish; let's say this is a shortcut version. I memorized the ingredients and directions while huffing and puffing my way through the workout, and enthusiastically pledged to try this dish, making enough to nosh on throughout the week...and that's exactly what I've been doing. 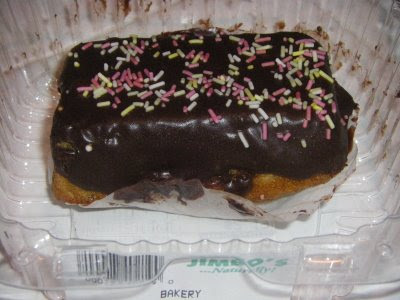 It's delicious. If you are looking for a warm and nutritious, lasagna-type meal everyone will love that will leave you with ample leftovers and a smile, try this modified version of Pasticcio ~ Macaroni pasta, ground turkey, tomato sauce, spinach and mozzarella. Saute sliced garlic and onions with olive oil until golden brown, then add ground turkey, jar of tomato sauce and cinnamon. Mix all ingredients together then turn heat to medium and simmer for ten minutes. Boil entire bag of pasta and cook until al dente, then strain and set to the side until turkey is cooked. (Tip - I always throw a few drizzles of olive oil in with my strained pasta and stir, to keep from sticking together). Spray non-stick olive oil on to casserole dish then layer half of the pasta into the dish, just covering the surface. Layer pan of ground turkey mixture onto pasta and evenly smooth over entire surface. Layer fresh spinach over the turkey until it's completely and evenly covered. Spread 1 cup of mozzarella over spinach. Finally, evenly layer the remaining pasta over the spinach and toss on the second cup of mozzarella, e poi...finito! Your pre-heated oven will be set at 350 degrees - cook the dish for 25 minutes. I would recommend covering the dish for the first 15 minutes to seal in the juices, then uncover to lightly brown the top. Not only will this simple and quick dish allow you more time for all those Christmas and holiday bargains you are going to be looking for online, but the aromas it creates in your kitchen are intoxicating - you can thank me later. Try not to eat the entire casserole dish in one sitting. If you do, don't blame me. Just head to the gym. The treadmill is awaiting your arrival. It's almost Thanksgiving Day - the day of giving thanks for all of our blessings in life and most importantly...overeating delicious, lovingly-prepared dishes that warm the heart and soul. If you are a Celiac or eat gluten-free, you also know just how challenging this particular holiday can be when it comes to ensuring that NO and I mean NO trace of gluten/wheat flour is allowed to contaminate your food and ruin a day of blessings. I put together my quick Top-Ten List of Thanksgiving Gluten-Free Tips that will help you through the entire process, from the kitchen to the dining room table. I have learned throughout the past ten years, just how important these tips are in order to ensure a safe and enjoyable meal to be thankful for. 1. Make sure that your kitchen is sterile and clean, erasing any trace of gluten/flour, keeping a safe cooking environment. This is especially important if you are cooking in tandem at someone else’s home who may not have a gluten-free kitchen. 2. Sterilize ALL cooking utensils and cook ware that you will use to prepare the meal, from start to finish. Again, especially important if you are eating or cooking at someone's home who is not a gluten-free eater. I can't overemphasize how important this is and how easy it is to pick up a spoon that was just dipped in gluten gravy and then use it to stir gluten-free ingredients. Whammo - contamination! 3. Turkey! Though everyone agrees that a good 'ole turkey bird is naturally gluten-free, you would be amazed at what happens to the poor bird by the time it arrives in your grocer's freezer. I have had to search for hours to find a gluten-free bird that has not been injected, basted, seasoned and saturated in gluten. There are so many preservatives used on your average turkey that are filled with gluten. I recommend buying an organic bird from Whole Foods or your local butcher that is guaranteed to be free of all gluten. It may take a little searching, but you will find a turkey that is safe. If all else fails, in the past I have simply purchased a small turkey breast for myself, basted it with butter and herbs and Viola - a safe Thanksgiving turkey. 4. Broth can be another tricky and dangerous area when cooking a Thanksgiving meal. All mainstream chicken, beef or veggie broths are loaded with modified food starch and other gluten products and can really ruin a good meal for a Celiac. Thankfully, there are loads of gluten-free broths now available that are also organic that must be used in your holiday cooking in order to avoid contamination. My favorite broth is Pacific Natural Foods free range chicken broth. Trader Joe's also has a fairly comprehensive list of GF products now and GF broth. 5. Bullion cubes have danger flashing all around them - did you know that? I found this out the hard way in years past. So if you are dining at a family or friends house this Thanksgiving, it is imperative that you make sure they are not utilizing any type of Bullion cube in their seasoning or homemade broth. Do your homework on this one and suggest your gluten-free chicken broth instead! 6. Whipping cream is harmless, right? NOT. Thanks to my sister-in-law, she just recently showed me a container of Knudsen whipping cream that's sold in the dairy section. As she was reading the ingredients, she noticed that this dairy product contained modified food starch, most-likely utilized as a "binder" to help thicken the product as it's whipped. This came as a shock to me and was really concerning. Make sure that if you are using a dollop of fresh whipping cream on anything you did not make yourself, you check with the host to verify that the product they used was gluten-free. 7. Vanilla, salt and spices are all wonderful ingredients for your holiday baking, but be careful to use only gluten-free products. Most people don't realize that even iodized salt can contain gluten. 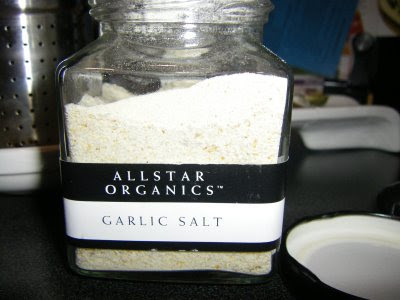 Though it's more expensive, I have been using fresh sea salts for several years now and feeling much better about the product. I really love the course Sel de Mer! GF Vanilla extract is much easier to find now in even mainstream grocery stores, as well as spices that are safe. The key is to use the products that you have researched and know are safe. If you are eating away from home this holiday, just pack a bag with all of your GF products to bring to the host to use in whatever foods will be prepared and served to you. Anyone who knows and loves you will be more than happy to accommodate and keep you safe. 8. Gravy! - a staple of the Thanksgiving meal, yet as a Celiac, you must make sure to avoid ALL gravies containing roux/flour in the mix. It's actually easy to make a gluten-free gravy that is hearty and delicious - so you won't feel like you are missing out on a thing! 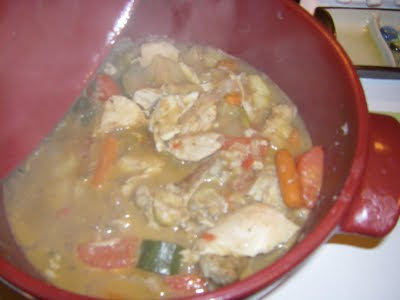 Check out my blogger friend, Gluten Free Girl's site for her very easy and delicious GF gravy recipe! 9. The good stuff - Alcohol and Desserts - now what would Thanksgiving be without these tasty staples? Depending upon what you and your guests will be drinking during the holiday, here's a reminder of the "safe alcohol" that Celiacs and those avoiding gluten are able to drink. Desserts are just a part of the traditional Thanksgiving feast, but for a Celiac, things need to be modified. But don't confuse "modified" with "boring!" There are a million GF dessert recipes on line, in hundreds of GF cookbooks (that actually taste good) and perhaps, in your own repertoire of homemade recipes. 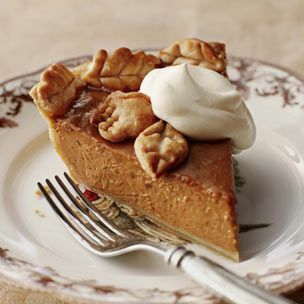 I love Pumpkin Pie, and am pretty sure you do too! There are ample sweets and aperitifs to choose from so you won't feel like you have missed out on a thing this Thanksgiving. 10. Be Thankful~ In these challenging times, no matter what disease we might suffer from, or loss we have experienced...there is ALWAYS something special in each of our lives to remember and give thanks for, to love and honor, and a way for us to share our hearts with the world. The food that I've missed the most since going gluten-free in 2000 is....PIZZA!! Not the typical gluten-free pizza in a box, found in the Whole Foods freezer...no no...a real, cheesy, thick or thin crust, hot out of the oven, make-you-salivate kind of pizza that you find in Rome or New York or...good old Pinky's Pizza in Walnut Creek,CA (which sadly,has now closed) where I grew up. That's the kind of wheat-filled pizza I'm talking about, my friends! Okay, somebody slap me - I've regressed to my previous life. Excuse me. I still have years of wonderful memories stored in my heart and mind focused around eating at various pizza parlors all over the Bay Area. While growing up, they served as staple meal locations - after soccer games, little league victories, golf tourneys, horse shows and birthday parties. Pizza equaled friends, fun and a night out! So, I hang onto those lovely days past and the aroma of goodness that still fills my senses. Now, this is not intended to be a sad, walk-down-memory-lane kind of a post - because the good news is, a very delicious and successfully baked gluten-free pizza was created in my very own kitchen last week...almost as good as Pinky's. I've tried many of the GF frozen crusts that you can buy at certain grocery stores or on line, and as I've blogged before, I've also found two pizza restaurants in San Diego that bake up a mean GF pizza. But baking one from scratch, in your own kitchen, in your own oven, with love and careful preparation, is really quite fun and rewarding...if it works! I've baked pizzas from scratch with the numerous flours (usually required) during various GF baking classes that I've taken over the years, but putting all the ingredients together and praying it works out in your own oven is a different story -Well, fear be gone! After the first try that turned out quite well, I'm ready to go back in the kitchen this weekend for more. Follow along with this photo essay/tutorial and then bake your own! Next...use your favorite GF pasta/pizza sauce and spread around on to the dough, adding a bit more sauce in the middle. This delicious and healthy pizza was so easy and contains half the fat grams of the prepared, frozen variety. It's a fun project you could do with children, for a fun night of cooking with friends (don't forget the wine) or anytime you are longing for the food that satisfies and conjures up delicious memories, while making new ones. The recipe that was chosen for last week's inaugural effort came from Bette Hagman's GF Cookbook, The Gluten-Free Gourmet. Beat the milk and eggs together. Add the flours, guar gum and salt. Mix in the olive oil. 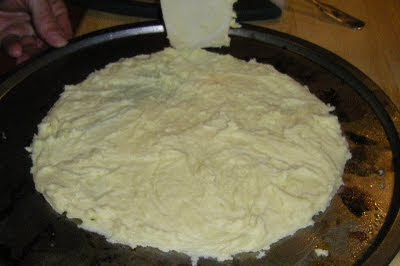 Spread onto a greased 9" x 13 " pan or pizza stone or (as I did) spread with a spatula in a 12-inch circle about 1/4 inch thick - leave a thicker crust around the edges/outside of the circle to keep the sauce and cheese from running over onto the pan. Spread sauce evenly over the unbaked crust and top with your favorite toppings. Bake in preheated oven at 400 degrees for 30 minutes. 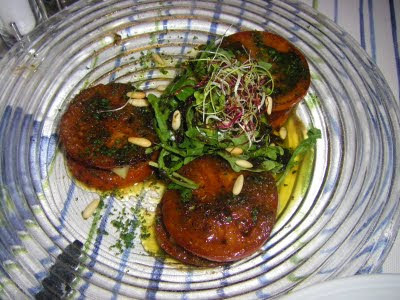 Serve with a simple salad, tossed in olive oil and vinegar and you have the perfect meal. I came across an article today on Celiac.com and thought it was definitely worth sharing, as the diagnosis of Celiac in babies and young children is so very important. I can tell you for a fact that I have Osteopenia, due to the ten years + that I lived through not absorbing much of any nutrients - and that was in my late teens early 20's; some of the side effects as a result of this are challenging to say the least. The earlier children are diagnosed, the sooner they can be put on a 100% gluten-free diet in order to stop the malbsorption issues that can lead to so many growth-related problems for little ones. Have a read and be sure to pass this along to your kids, or anyone you know who's children are newly diagnosed or on a gluten-free diet. TGIF - and next week check back for a fun and easy homemade gluten-free pizza recipe you and your family are sure to love!! 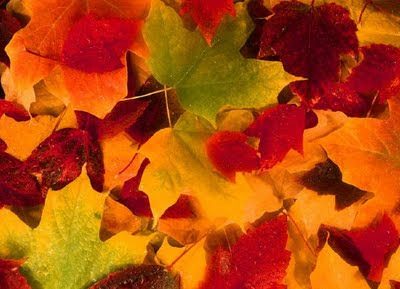 As I have touted before on this blog, I LOVE the season of Fall! 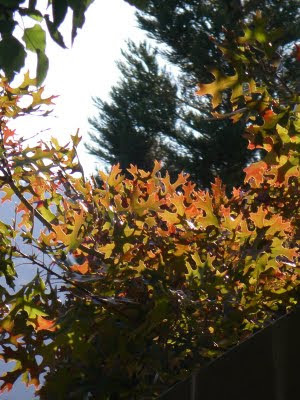 The colors change, the light shifts to a golden hue in the sky, subtly reflecting off each gorgeous leaf that's on its way out...and...the J.Crew catalog is loaded with amazing goodies every fall season - this one is NO exception, my friends. How I long sometimes for those "good old days." Every Halloween, I try to imagine what it must be like to be a child with Celiac Disease and what a positive and creative parent one must be in order to still create a sense of "magic" and excitement for their child, without creating a huge amount of fear around all the "do's and dont's" of eating gluten-free. In some of my research, I came across a blog with a fairly comprehensive list of "safe" Halloween candy. But as always, it's a good idea to double-check every ingredient in the event that the manufacturer has changed anything since the last time you checked! And since October is Celiac Disease Awareness Month, I thought it important to share this Reuters story, updating us all on General Mills and their five Chex cereals which are now completely gluten-free. I know that on Saturday night as I'm handing out gluten-free candy to all of the little ghosts, goblins, and Miley Cyrus's at my door...I'll be wishing all the Celiac kids out there a safe, fun and enjoyable Halloween eve...and wishing I could still dress up as Marie Osmond! 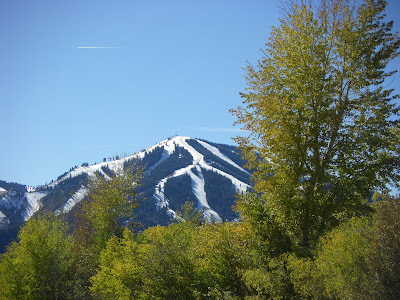 While visiting one of my favorite spots on the map over the weekend, (Sun Valley & Ketchum, Idaho), a delicious gluten-free dinner was had at the darling, cozy and rustic Vintage Restaurant. 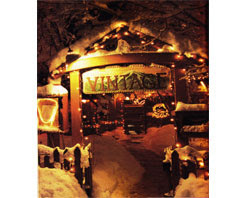 Vintage is located in a tiny cabin in downtown Ketchum on Leadville Street, just across from the famous Kneadery Restaurant. 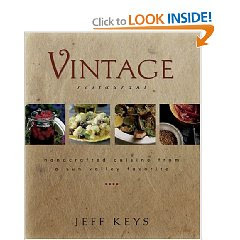 I had wanted to try Vintage for the past couple of years, having heard great things about the food and the chef/owner Jeff Keys, who is also a cookbook author and has published a book titled "Vintage" - highlighting all the wonderful dishes that are served at the restaurant and then some - the good news...many of them are gluten-free or can easily be modified as such! Our dining experience at Vintage was wonderful, though I have to be honest, my first conversation with our very friendly and a bit frazzled server left me a bit leery of how safe I was actually going to be eating there - so I decided to keep my demeanor light and friendly but was adamant that she had to speak with the chef about every single food item I was considering, in order to ENSURE that everything could be properly prepared gluten-free. I have to say anymore, eating out is not nearly as fun or carefree and I have to work hard to keep my composure and not let the stress of getting poisoned completely ruin every dining experience. However, in this case, and after several long discussions with the server and chef, I felt I was in good hands and I surrendered to trust. If you are Celiac or gluten-intolerant and find yourself in Ketchum standing in front of Vintage and reading their delicious menu, don't hesitate to eat there, just make sure you alert the staff of your diet restrictions when making a reservation. It's such a special dining experience and as one gentlemen told us on his way out the door, "this is the best restaurant in the Valley"...spoken from a true local! It is pouring rain here today - a very welcome sight let me tell you, and the kind of day where you would like to curl up with a good book, a cup of tea and let the world go by. And now that it's fall and the days are getting shorter and the night air arrives with a certain crispness, I was inspired this past week to cook up two gluten-free dishes that brought a lot of warmth and nutrition to my tummy! I cook a lot at my house and I have realized the joy and ease of cooking a healthy meal in one dish or one pot - it's easy and there is so much variety to cooking this way. Usually, all that needs to accompany a one-dish meal is a simple salad with good olive oil, some fig vinegar and a few gluten-free crackers...oh...and a nice glass of wine. The other night I only had 10 minutes for meal prep between running home from work and racing off to a Pilates class. I had a ton of veggies in my fridge and wanted to use them all up while they were still fresh, so I had the idea to throw them all in my Emile Henry stew pot, add some GF chicken broth, a few other flavorful ingredients, chop everything up and let them simmer away while I was at my class. I wasn't quite sure what I was creating, but it turned out to be really yummy and provided four healthy meals throughout the week. Cooking this way is really economical, as well. 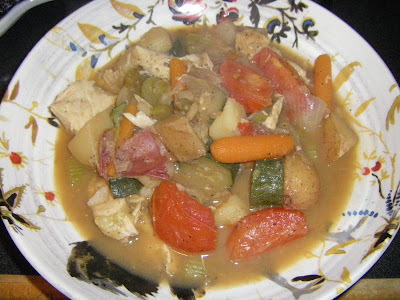 I simply chopped up all of my veggies and threw then in the pot, then added the chicken broth, water, wine, olive oil, butter, garlic pepper, salt and pepper (to taste). I made sure that everything was covered with a 1/2 inch of broth knowing it would cook down. I simmered the pot on medium heat for an hour and 20 minutes. 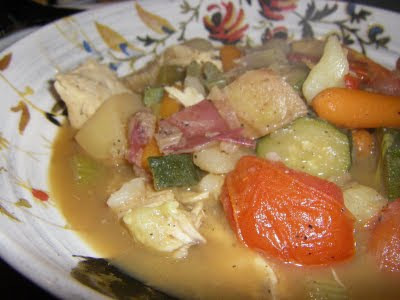 When I returned home the veggies were the perfect texture and simmering with robust taste and flavor. I then added the sliced up, roasted chicken to the pot and allowed to cook for an additional 10 minutes. Voila! Ready to eat. It was super-simple and delicious - a great meal for a family or to have leftovers to nosh on all week. 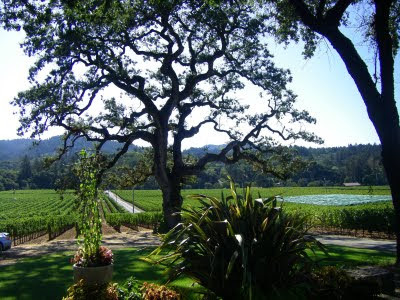 There's something special about the Napa Valley besides the obvious...VINO...it's the smell of the air, the earth, and the beauty that is present everywhere you look, which makes it a fabulous place to visit any time of the year. One of my dearest friends from the Basque Country, Nere, was visiting here for a month and had never been to Napa, so recently we decided to jump in the car and make a day of it! 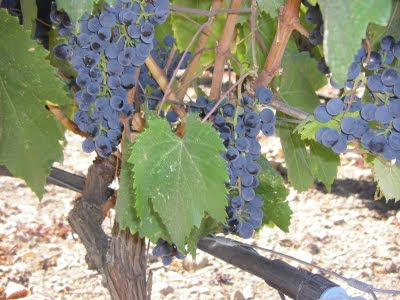 Mind you, the predicted forecast for that day was in the high 80's, however, by mid-day it reached 107 degrees in St. Helena! 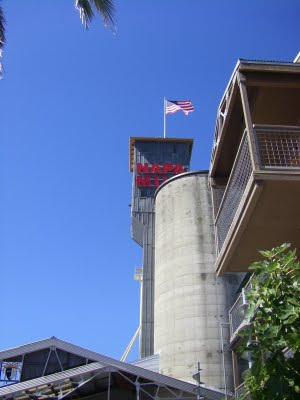 We were sweltering and needed something cold to drink, of course, but first we stopped at the delightful and newer Historic Napa Mill and Napa River Inn - Napa's only Michelin starred luxury hotel. There some terrific history to this site in downtown Napa and it's all chronicled on their website. 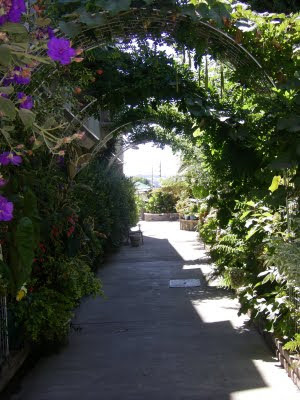 There are four lovely restaurants in the Mill to choose from, so we decided on something more casual and "safe" for me, the Celiac, and dined at the The Napa General Store's cafe. The store is darling, filled with eclectic and Napa Valley-based products, and the cafe offers indoor or beautiful outdoor patio seating - but it was already 100 degrees at lunch time, so we opted for a table near the bar in the air-conditioned dining room. The day we ate lunch there, one of the specials was Gazpacho soup, which I adore! After careful discussion with our waiter, I was assured that the soup was 100% gluten-free, and it was. Muy delicioso! In addition, I ordered the Greek Salad served with plain grilled chicken and all the traditional ingredients (romaine hearts, feta cheese, kalamata olives, tomatoes, cucumbers, Red onion), sans the garlic flat bread, and did very well. The waiter brought me a freshly mixed side of balsamic vinegar and oil and was very careful to ensure that my meal was completely safe and delicious - so I enjoyed. As we made our way north on Hwy. 29 towards St. Helena, we decided to only taste at wineries that I had never visited before, and given this was my friend's first time in the Valley, we had quite a few wineries to choose from. Our first stop was the glamorous Opus One - just for a photo op. A single tasting is $30, so we decided to go elsewhere for a little more "bang for our buck"...so to speak. It's worth the visit though, and the architecture of the main building is quite something to see. I have drunk Opus One before, and it's a lovely Mondavi & Rothschild joint creation. Next stop - Peju Province Winery for a tasting and to enjoy the beautiful grounds and Rutherford Estate Wine Tasting Room. We tasted five of their most popular wines and then decided to purchase their Provence California Red & White Blend Table Wine which is served chilled and I have to say, has gone very well with spicier, BBQ'd dinners - I've really enjoyed this bottle. 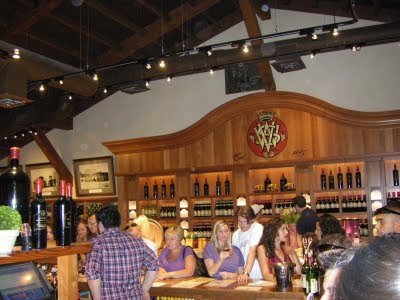 Our next stop on the drinking tour...haha, was at V. Sattui Winery. Little did we know that the rest of the free world had also decided it would be a great place to pick up some lunch, do a little tasting at the massive bar, and sit outside for a picnic! 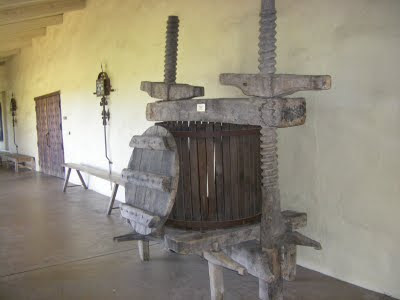 The family-owned winery was established in 1885 and is quite an impressive stop on the tour. 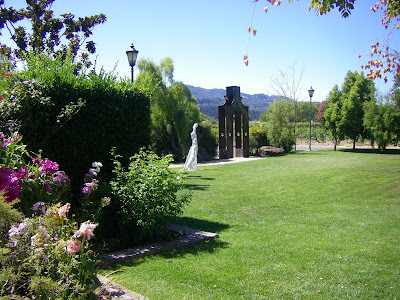 The grounds are well-designed and beautiful, and Nere and I thoroughly enjoyed the lively "bar" atmosphere and the "$5 for 5 wines" tasting. As we sipped our vino and enjoyed the people-watching, we discussed how the atmosphere was similar in a way to that of bar-hopping in San Sebastian, Spain and all the fun that goes along with "El Tapeo", or meandering from bar to bar in search of amazing Tapas(Pintxos). V. Sattui also has an authentic, old-world style deli and it's loaded with goodies that any Celiac would enjoy; beautiful Italian and Spanish cheeses, fresh-cut salami, ham, turkey, you name it, along with some delicious and safe salads and plenty of chocolate that would pair so nicely with that bottle of wine. It's quite possible to simply bring your own gluten-free crackers and create a delicious meal to enjoy on the grounds of V. Sattui, without any worries about what you are eating. 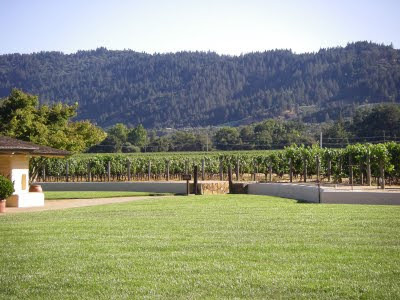 Our next stop was to the quaint and posh town of St. Helena. I have some dear family friends who live there, growing and bottling their own grapes at Shibumi Knoll, as well as owning one of the most spectacular 360 degree views of the Valley - see for yourself. The view and their wine are so spectacular that I had to take my friend by the Knoll for a visit where she fell in love with the views and the essence of Shibumi Knoll. I'm a bit biased, but I can tell you that their Chardonnay is simply fantastic and one-of-a-kind, with so much passion and heart put into every bottle. 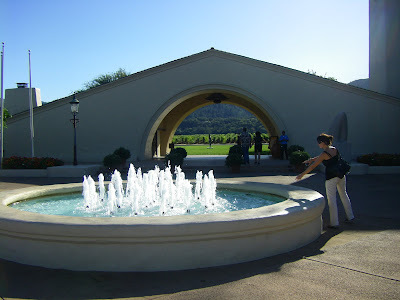 As the evening was creeping up on us, we made one last stop at the famous Mondavi Winery. We missed the tasting by 30 minutes, but were able to tour the grounds and give my friend a little history about one of the most famous California wine makers. Honestly, I just love their location and how the Spanish-style architecture fits in so well with its surroundings. Our final-final stop was at Dean & Deluca to pick up a few snacks for the road, and don't we just love that store! There are a lot of gluten-free items for sale and though we can't partake in the beautiful bakery selections, there is yummy Gelato that will do the trick when a sweet-tooth ensues. 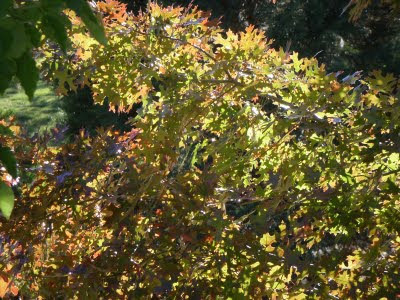 By the way, October is a spectacular time to visit the Napa Valley and partake in not only the harvest, but the gorgeous fall colors that are appearing on a daily basis. Fall officially arrives tomorrow and honestly, I cannot comprehend where this year has sped off to. 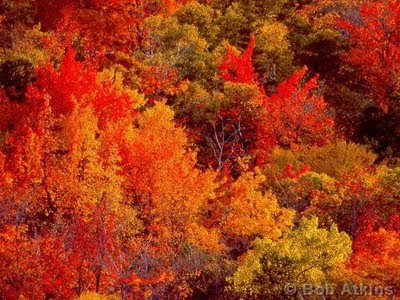 I'm happy to enter into fall, though not sure I'm ready, as I'm thoroughly enjoying these Indian Summer days and evenings. With change always comes the reevaluating of self, surroundings and information that we depend upon - change is inevitable...but that's really a good thing. There have been several global Celiac news stories that have popped up this week; two that are a bit daunting (if you ask me), and another that's interesting. I've included the links for your review. I suppose the benefit of these stories is not intended to frighten anyone, rather adversely, to motivate and push harder for faster diagnosis time and further research. I would be interested to know what my readers think of these articles - if there are others to be brought to light, please send them my way. Increase awareness - that's all of our job! 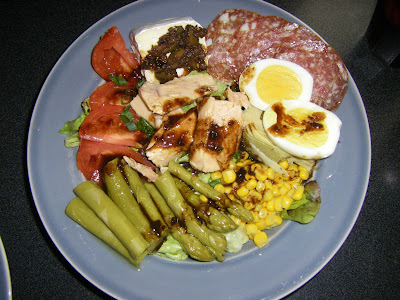 While visiting the gorgeous city of Geneva, Switzerland en-route to Crans-Montana located in the Alps, I was lucky enough to have dined on this gorgeous French salad (above) that was quintessentially, well...French. 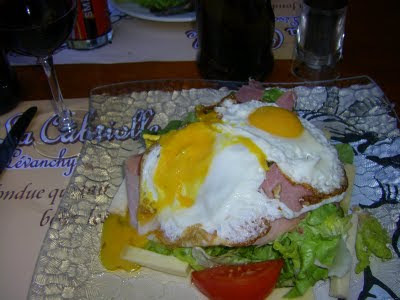 It was a Salade Niçoise, that also included two lightly fried eggs perched atop the towering greens, and were the perfect companions for the freshly sliced ham, real Swiss cheese and fresh tomatoes. And the way they drizzled just the perfect amount of oil and vinegar on the salad almost seems like an art because it NEVER tastes the same to me, once back in the States...Thousand Island dressing, Ranch...PLEASE! All you need to be happy and satisfied is oil and vinegar, and we'll allow a pinch of Sel de Mer, if you please. What I admire most as a Celiac, when eating overseas, is the simplicity of ingredients and the realistic and civilized-sized proportions of food served. I mean really...does anyone need a super-sized plate of ribs, 2lbs. of mashed potatoes and 1/2 lb. of beans served at every good ole American eating establishment? I digress...When I say that I could eat an Ensalada Mixta every day of my life, I'm not joking or exaggerating- I really could...and practically do! It's gluten-free heaven jam-packed with amazing flavors, textures and whole-food goodness and every western European country has there own version that speaks to their traditions and culinary pleasures. This delicious tomato, mozzarella, basil salad I ordered while in Zermatt, Switzerland is a direct take-off of a Italian Insalata Caprese, but this version (much more influenced by Swiss-German cooking) included a much stronger Swiss-Gouda type cheese, a spicier vinegar, pine nuts and more peppery herbs. It was delicious and fresh, but I could really taste the difference vs. eating the same salad just over the boarder in Italia. 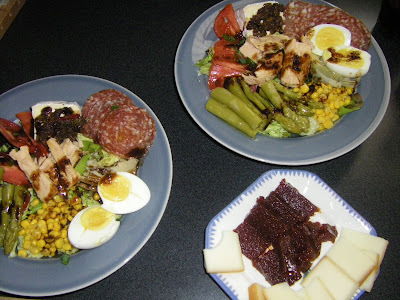 La Ensalada Mixta however, is truly my favorite in Europe and is served throughout Spain and the Basque Country...it's worth the trip just for the salad! After eating a Mixta day after day, it's easy to become quite used to the simplicity and deliciousness of this meal and then long for it with great desire once the feet are planted back on American soil because let me tell you, it's tough to recreate the real deal...but I try, and keep trying. The Mixta below is my creation as I painstakingly attempted to mimic the Mixtas from San Sebastian(Donosti) or Bilbao. The recipe is rather easy, though depending upon where you live, tricky at times to find authentic Spanish ingredients, such as tuna in a jar, white asparagus and real Spanish olives. Keep trying until you do - it's worth it, or check out the Spanish Table in the Bay Area - they have a lot of the goodies I mentioned that you'll need for the Mixta. I also love to add a small plate of Basque cheese and Membrillo...along with my any gluten-free crackers to accompany the salad. Whole foods has a nice assortment of Basque cheeses and the membrillo can be found there as well, or at the Spanish Table. For me, part of the true joy that travel brings to my life is not only the excitement that overtakes me when lost down some amazing cobblestone alley somewhere/anywhere,...but also the happiness that eating other countries' food adds to my life...and again, I always find that eating in Europe as a Celiac is much easier, though mistakes do happen. But food that was enjoyed while overseas or in any new location on the map has a way of conjuring up such feelings of nostalgia, once home and reminisced upon. You get a whiff of that "fresh Parisian bakery" while walking down the street, or perhaps a home-made omelette reminds you of sitting along the Seine in Paris sipping wine, eating pomme frites and watching the Bateaux Mouches float by - food and travel, travel and food - either way you rotate them on the page, they are sure to bring up feelings of happiness in your heart...they sure do in mine! Enjoy bringing a little bit of Europe into your kitchen and please feel free to send me any of your favorite dishes and recipes from travels abroad. Coma! Mangia! Manger! Essen Sie! As you might know, I've been reeling from gluten poisoning that happened to me 3 + weeks ago, and boy did it knock the wind right out of my sails. Once I progressed beyond organic baby food, I have been in serious need of some protein, calorie-rich foods that I could basically...well, drink! My stomach is still not fond of "real food" yet, especially veggies and any kind of meat or denser protein...but a girl's got to eat! I came up with this terrific smoothie recipe two weeks ago and have been blending away every single morning and with good results. 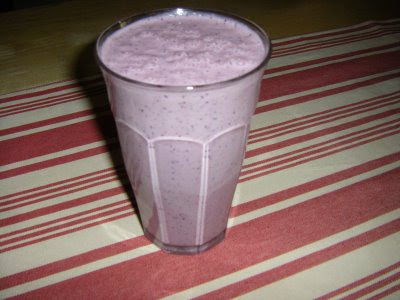 I'm convinced that I cannot be the only Celiac who suffers this intensely when poisoned, and knowing that our bodies are already lacking in some essential vitamins and minerals, I felt strongly compelled to share my GF hangover smoothie recipe and hope that it will come in handy for any of you, God-forbid, if you mistakenly encounter gluten in one of your meals. Blend together in mixer on "liquefy" or "high" for two minutes, pour into your favorite mug or glass and voila! Breakfast or a delicious snack is served. If you have other "hangover" recipes or ideas to share that you prepare and are able to eat when suffering through this situation, please write to me and share them. It's guest-blogger Friday - Enjoy this lovely story and delicious GF recipe from my good friend, Cristin. She's a blogger, as well. My dear friend Aimee and I meet in Tahoe after we graduated from high school and were heading off to college. We both have a passion for sports, fashion and food. For the most part, we've lived in different cities, but may have overlapped while we both were living in San Francisco in the 90s. In any case, our friendship was rekindled this last year as we realized how much our diets have changed since our teenage years. 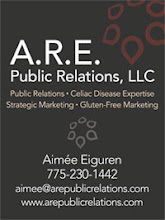 Aimee because of Celiac Disease and mine because of an illness last year. Thankfully we are both doing great! My new diet is tough at times, but I love how I feel. 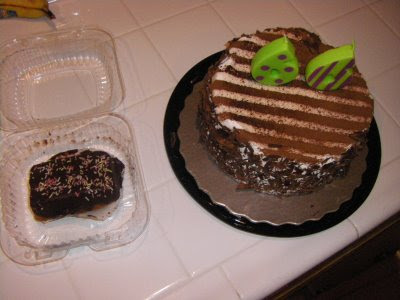 I don't eat any refined sugar (no alcohol! 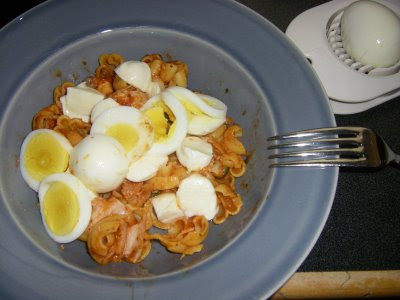 ), red meat/pork/some fish, and very little dairy and gluten. It is mostly plant-based. I actually find it easier to avoid sugar than gluten - I feel for you that have Celiac Disease! I am always looking for new recipes and here is one I'd like to share that is gluten-free, sugar-free and dairy-free - yippee! Mix dry ingredients; In a separate bowl mix wet ingredients. Pour dry ingredients into wet, mix gently. Pour 1/4 cup mix into muffin pan. Bake 20 minutes at 400 degrees. Food blogger, Amy Green of her Simply Sugar and Gluten Free blog, happens to be guest blogging today about dining out with food allergies at EATS, the local food blog for Dallas' big newspaper - the Dallas Morning News. Her hope is to really raise some awareness about what can happen when our needs aren't taken seriously while dining out...and if you read my last post, you will understand what she's talking about. She and I have been sharing stories lately and I find her blog to be very well done and informative and fun to read. If you have a minute, stop in and share your story. I did - mine is posted, as well! 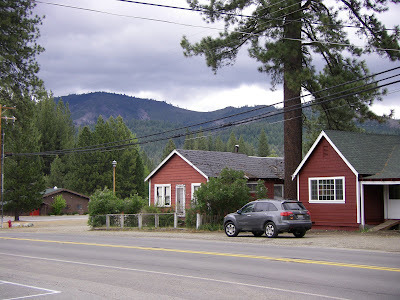 My family's favorite get-away location has always been the quaint, charming town of Graeagle, CA nestled in the Sierra's. It is one of the very few places throughout our lives that has not changed. The market is still the same with it's original creaky wood floors, the Mill Pond is still filled with mossy water that everyone loves to swim in, and the tiny red and white-trimmed houses and shops that decorate the "downtown" are exactly the same as they were 37 years ago when my parents and grandparents jointly purchased a little green house that we called our summer home for many years. 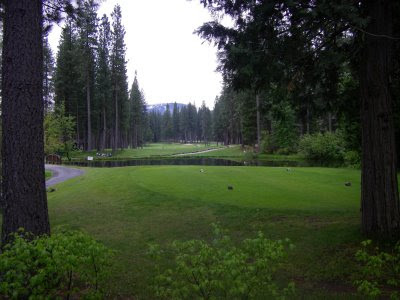 This past holiday weekend was spent in Graeagle, hiking and lounging, golfing at dusk and BBQing on the most scenic patio deck in all of Plumas county - good times. I also learned this weekend was that there's yet another safe place for a Celiac to dine for either lunch or dinner, at the Coyote Bar and Grill. They serve a mean margarita and corn chips with fresh salsa and guacamole that's all safe and gluten-free...but watch out for the Cowboy Caviar - that's NOT on our menu. 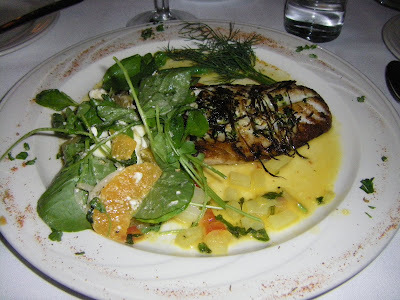 They also serve fresh fish and a variety of menu items that can be easily modified for someone avoiding all-things-gluten. Last weekend after a round of golf, we also ate at the famous Iron Door in Johnsville, CA just a ten minute drive from Graeagle. I've eaten there on many different occasions throughout my whole life, but obviously after my Celiac diagnosis and a change of restaurant ownership, I always feel compelled triple-check what I can and cannot eat. In this instance, I was able to dine on the shrimp scampi with an amazing white wine, butter sauce and mushrooms - they use CORN starch in almost every dish, including the soups! 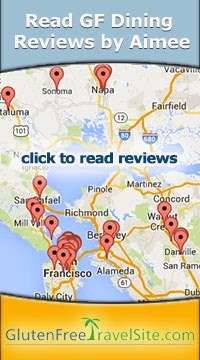 So if you are in search of a wonderful weekend get-away and a couple of safe dining locations, you are in luck. 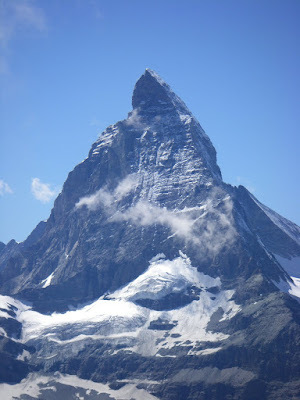 Your eyes will be able to feast upon gorgeous landscape while your stomach will be sated and safe. So my darling, tiny Pilates teacher, Jackie, has been singing the praises of Kale for months now during our twice-per-week classes. I have to admit, before Jackie's raving, I had never eaten Kale nor paid much attention to it as I perused the produce aisle at the grocery store. But after listening to her excitement about this super-food and all of it's nutritional value, health benefits, and how it's so simple to prepare, I decided that it was time to expand my world of vegetables and give Kale a try...but of course, I had to put my own gluten-free spin on the recipe. I highly recommend buying a big, leafy bunch of Kale this weekend and giving it a try - it's delicious and there are so many ways you can "taste it up" and so many options for combining it with a yummy protein (grilled shrimp for example) and starch (Basmati rice) for a complete meal, or just a snack. Slice 1/4 of the white end of the leek into thin spirals and saute in large pan with olive oil until they turn a yellow-golden color. After washing the Kale, slice each leaf off the stem (run the knife down either side of the stem) - essential to the flavor of the Kale. If you leave the stem on, its bitterness will ruin the dish - trust me! 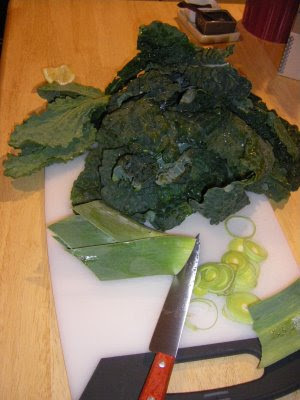 Then slice up the Kale into large pieces and toss into the saute pan with the leek. 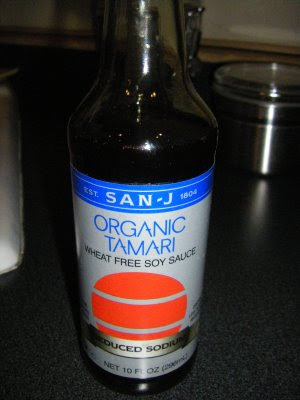 Add your gluten-free soy sauce, sprinkle in the sesame seeds and garlic salt to taste. Make sure to thoroughly mix the Kale with all the ingredients for 3 minutes. (Shortening the cooking time ensures that more of the nutrition is not cooked out). After 3 minutes, the Kale should turn a darker green and a bit wilted but still maintains it's shape. 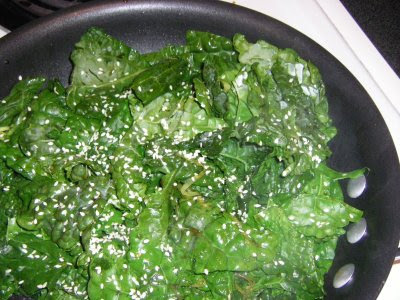 Remove the Kale from the saute pan into the bowl/dish of your choice and squeeze 1/2of a fresh lemon over the dish. The lemon is the key and brings out an incredible flavor.